In the recent past, books were published in hard-copy formats which involved a lot of paperwork and time. The traditional method of publication came with a lot of disadvantages such as expensive costs of production as well as the destruction of trees in search of paper to publish material; this brought the need for new advanced ways of publishing content which were to be economical and time saving. The emergence of computers hence paved the way for digital publishing which brought to light the invention of e-books (electronic books). Before going deep into knowing what an ePub is, it would be important to understand its origins which give a greater picture of its functionalities in the publishing industry. In the digital publishing era, there is a new technology in a place known as e-books. E-books stand for electronic books which are a publication in a digital format consisting of images or texts or a combination of both; the e-books are readable on different computer devices such as e-readers, desktop computers, laptops, mobile phones, IPads, and tablets. E-books are commonly referred to as electronic versions of printed books but nevertheless they are a digital technology replacing the old hard-copied books in digital format; electronic-books save on the cost and time of publishing information as well as the environment since much paperwork is avoided. An e-book format is the e-book’s digital design which makes it readable by various computer devices, the most common device being an e-reader. Based on what e-books producers are targeting such as markets and audiences, different e-books have various formats. 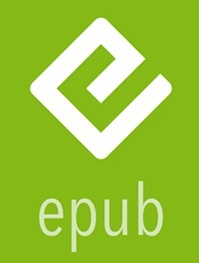 Epub is an open standard e-book publication format that was designed by the International Digital Publishing Forum (IDPF) to meet various publishing needs in the publishing industry. Since it is a publication format, it bears publication features such as fonts, media, scripts, style sheets, content documents, and images. Epub is used for representing, storing, and programming enhanced web content. It is the most widely supported e-book format by different hardware and software readers such as Google Books on Android enables devices and iBooks on iOS enabled devices, this makes it an economical digital publishing tool in the publishing industry since it can be used to access a large target group of readers. 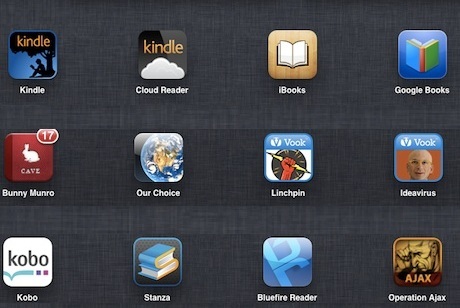 What are the features of ePub? Enlargement of texts and images font sizes; Epub allows for the enlargement of published content making it easier for different readers to have a clear view of the published documentations depending on the sharpness of their eye sights. It, therefore, caters for all readers with different eyesight challenges. Change in text and background color of publications; Epub has customized a room for change in background color to meet readers’ preferences where the readers of publication have different tastes for different background colors. Readers can also highlight different keynoted points on their electronic books published in ePub format since there is an adjustment for text color. Highlighting of passages and making notes; with ePub, reading of different literature materials is simplified since apart from highlighting of important notes using different colors, readers can also make their extra notes on the publications and save their changes before exiting the e-books. Bookmarking of pages; Just as the hard–copied books can be bookmarked, e-books in ePub format can be equally bookmarked allowing readers to resume studies from where they had previously halted. This saves time since readers do not have to start flipping the pages of the e-books right from the beginning to their halting points. Supports images; Epub publishing format supports the inclusion of different images in the e-books. This is very important where images are used a reading companion together with texts to explain various phenomena to the target audience, ePub, therefore, makes reading more interesting and comprehensible where images are required to serve such a purpose. Digital rights management; (What is DRM? )Epub offers room to authors who would want to maintain the authentication and publishing rights of their content preventing the content from plagiarism or unwarranted circulation and use in public. It is, therefore, a security tool for those authors wishing to have their e-books copyright protected. The ability to reflow published content; Documents produced in ePub format can adapt their presentations by the output device used to broadcast the documents. The documents can, therefore, be resized depending on the size of the screens they are presented on be it a small screen surface or a relatively large screen surface without distortions of the publications. From the features of ePub outlined above, it is clearly evident that ePub is a publication format that meets not only the author’s satisfactions but also the reader’s satisfactions thereby striking a balance between the author’s working environment as well as the reader’s studying environment. It is not in any way biased towards any of the parties since the e-book authors have their copyrights well attended whereas the readers have different customs to suit their reading specifications; ePub can, therefore, make a good marketing ground for a large number of ebooks publishers and readers. and VitalSource Bookshelf 2.5 just to list a few samples. All these software are well evenly distributed between iOS, Android, and Windows operating systems beating any number of audiences that can be imagined. For more information and services on ePub e-book publication format kindly reach us via our office phone numbers, email addresses, Twitter, Facebook, and Linked-in platforms. We are more than ready to see you through a digital publication that warrants you a great audience for your e-books and most importantly your publication copyrights. Use the latest versions of ePub technologies such as ePub 3.0 to achieve success in meeting audience friendly e-books that have different reader interactive interfaces. Save on costs and time for your e-book publications using ePub where in conjunction with our customer care team and a team of expertise you are bound to achieve more in a much shorter time and at affordable rates. You can also take advantage of the comment platforms we have to get a fast response from our team of expertise by slashing in your comments on ePub e-book publication format for we have your interests at heart. Remember, your success is our happiness.